VMware provides this operational tutorial to help you with your VMware Workspace ONE® environment. This tutorial helps you to manage the encryption life-cycle for Windows 10 devices using VMware Workspace ONE® UEM. You migrate from McAfee Management of Native Encryption, configure a BitLocker Encryption profile, and verify the encryption settings applied. This exercise helps you to configure automated encryption with Workspace ONE UEM. In this exercise, you migrate from McAfee, configure a BitLocker Encryption profile, and verify the profile applied. The steps are sequential and build upon one another, so make sure that you complete the steps in order. 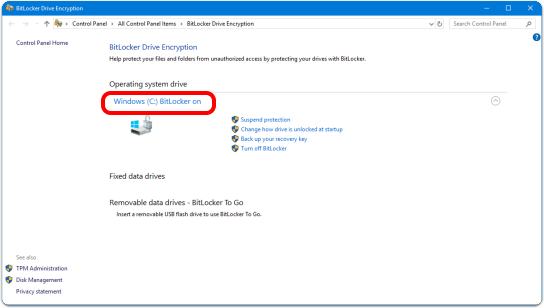 When it comes to BitLocker encryption for Windows 10 devices, a security by design approach provides the best user experience. Security by design implements device encryption in a way that feels like a non-disruptive, natural part of the device experience. To watch a video demonstrating security by design, click VMware Workspace ONE BitLocker Management End-User Experience or click the video itself. 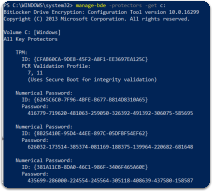 Create a BitLocker Encryption profile to keep Windows 10 device data enterprise secure. Once configured, Workspace ONE UEM Agent automatically enforces encryption settings as part of the device’s general security posture. 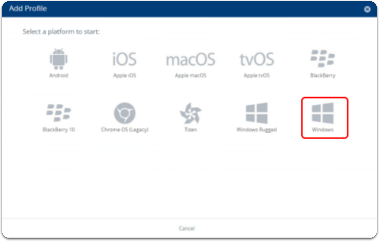 To watch a video demonstrating this procedure, click VMware Workspace ONE BitLocker Management Experience, or click the video itself. Before you can perform the procedures in this tutorial, you must satisfy the following requirements. For more information, see the VMware Identity Manager Documentation and VMware Workspace ONE UEM Documentation. Windows Pro, Enterprise, or Education device, enrolled in Workspace ONE UEM. For more information, compare Windows 10 editions, or contact a Microsoft representative. For additional assistance and information, see the MS BitLocker FAQ. Trusted Platform Module (TPM) Only. TPM + PIN or Password. Remove McAfee MNE agent from the system or configure McAfee policy to set encryption policy to Report Only mode (instead of encforce) after the AirWatch Unified Agent for Windows is installed. If you are currently only using TPM to store your BitLocker Recovery Key, you ready to Configure the BitLocker Encryption Profile in Workspace ONE UEM. If you are currently using a PIN or Password in addition to TPN, you are ready to Clear Out Key Protectors. If you require a PIN or Password with MNE, use an elevated command prompt to clear out Key Protectors. Enter the following command for each encrypted drive letter to see what key protectors are in use. Enter the following command to remove all key protectors. Alternatively, enter the following command to remove key protectors by type. 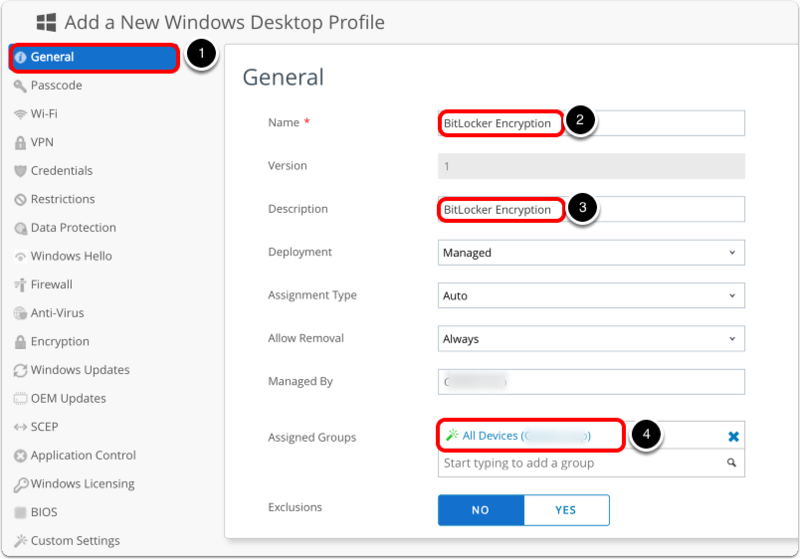 After migrating from McAfee, you are ready to configure the BitLocker Profile for Windows in Workspace ONE UEM. 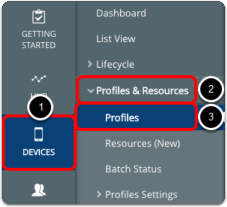 Profiles allow you to modify how the enrolled devices behave. This section helps you to configure and deploy Bitlocker encryption using a profile that we will verify applied to the device. In the upper-right corner of Workspace ONE UEM Console, select Add. Note: Make sure that you are selecting Windows and not Windows Rugged. Enter a profile name in the Name text box, for example, BitLocker Encryption. Copy the profile name into the Description text box. Scroll through the payload section on the left until you see the Bitlocker payload. Click the Configure button to begin configuring the payload settings. Select Complete Hard Disk from the Encrypted Volume drop-down menu. This encrypts the entire hard disk on the device, including the System Partition where the OS is installed. Select XTS AES 256 bit from the Encryption Method drop-down menu. Enable Default to the System Encryption Method as a failsafe for devices that do not support the selected encryption method. For example, selecting this setting ensures that Windows 10 1507 and below devices—which do not support XTS encryption—will still get encrypted. Enable Only Encrypt Used Space During Initial Encryption to reduce the time required for encryption. Important: The drive’s unused space remains unencrypted, potentially placing confidential data at risk. Enter the Self-Service Portal URL, https://[Your Device Services Host Name]/MyDevice in the Custom URL for Recovery textbox. This URL displays on the lock screen and directs end users to their recovery key. Using the scroll bar on the right, scroll down to the BitLocker Authentication Settings section. Select TPM as the Authentication Mode to use the device’s Trusted Platform Module to authenticate. Select Enforce Encryption PIN on Login to require pre-boot authentication. This locks out the OS at startup and auto-resume, and requires a PIN to unlock devices. Specify the Pin Length to match organizational complexity requirements. For example, enter 8. Select Use Password if TPM Not Present to use a password as a fallback if TPM is unavailable. If deselected, devices that do not have TPM do not encrypt. Configure Minimum Password Length to match organizational complexity requirements. For example, enter 8. Settings apply to the Password Authentication Mode, and the setting Use Password if TPM Not Available. Using the scroll bar on the right, scroll down to the BitLocker Static Recovery Key Settings section. Select Create Static BitLocker Recovery Key to create a shared key for a group of devices. This simplifies key recovery for IT personnel who use the shared key to unlock devices. Click the arrow icon to generate a static recovery key. 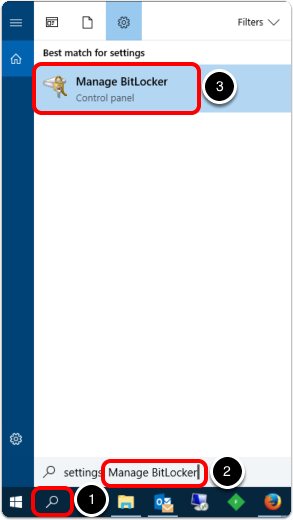 Enter 28 or any value greater than 0 into the Rotation Period text box to create a rotation schedule. Enter 0 to opt out of the rotation schedule. 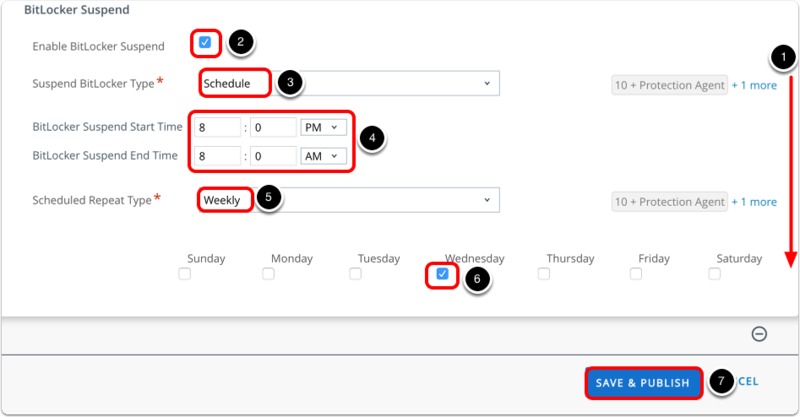 Enter 7 into the Grace Period text box to specify the number of days after rotation that the previous recovery key still works. Using the scroll bar on the right, scroll down to the BitLocker Suspend section. Select Enable BitLocker Suspend. This suspends BitLocker encryption during maintenance periods, and allows devices to reboot without end-user interaction. 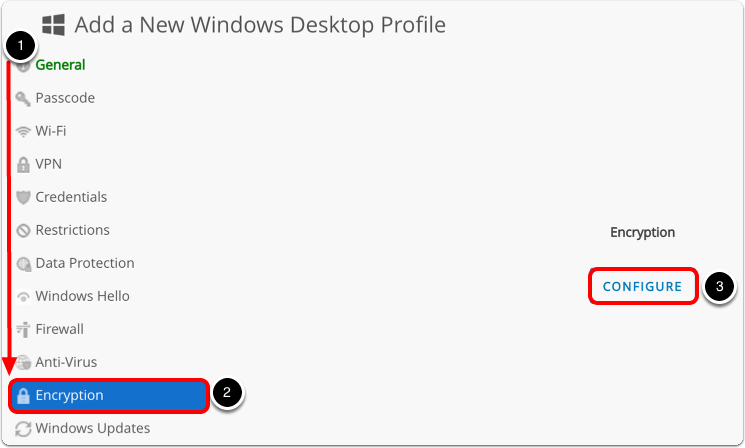 This setting is particularly important for kiosk or shared devices. Select Schedule from the Suspend BitLocker Type drop-down menu. This suspends BitLocker during a specific time period that repeats daily or weekly. Enter the suspend start and end time. Select Weekly from the the Scheduled Repeat Type drop-down menu. Select a day of the week to repeat the schedule. 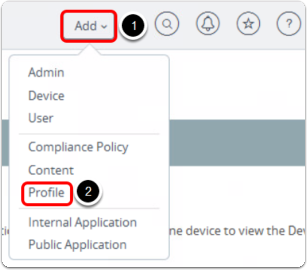 From the left column in the Workspace ONE UEM Console, select Devices. The BitLocker Encryption Profile now appears in the Device Profiles list view. On your Windows 10 device, follow the steps to confirm that the encryption settings are applied. Enter Manage BitLocker in the search text box. 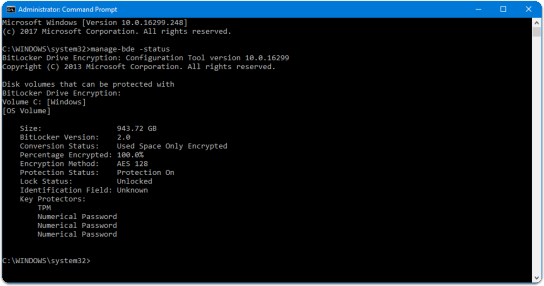 Confirm that BitLocker Encryption is on or is still currently encrypting. For a more detailed view, launch an elevated command prompt and enter manage-bde -status. This section covers general troubleshooting information for BitLocker migration. Note: If you manually run these commands, we recommend adding the -skiphardwaretest switch so that the system does not require a reboot. If you have upgraded your Windows 7 systems to Windows 10 and kept them in legacy BIOS mode, the system partition might still be FAT32. You must convert from FAT32 to NTFS for BitLocker to activate. Note: FAT32 system partition works on Unified Extensible Firmware Interface (UEFI) systems. Write-Log "Detected a SYSTEM partition...system still in legacy mode." Write-Log "Attempting to convert system partition to NTFS...reboot required for changes to take effect." Write-Log "Removing temporary drive letter"
To check health of TPM on a system, you can launch the TPM snap-in; tpm.msc. 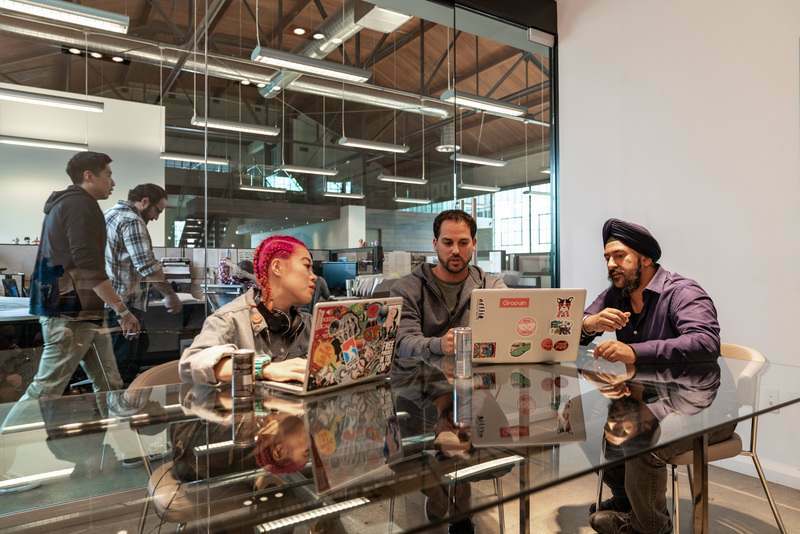 This operational tutorial provided steps to manage the encryption life-cycle for Windows 10 devices using Workspace ONE UEM. Procedures included migrating from McAfee MNE, configuring a BitLocker Encryption profile, and verifying the encryption settings applied.